Welcome to the Reincarnated iHanuman Site! 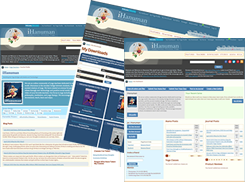 If you are a Returning Student or Teacher and have Already Created an Account with iHanuman, Please Click on "I Have An Account" and Log In with Your Email and Password to Access your Original iHanuman Account including Your Downloads. Welcome Back! If You are a New Student or Teacher, Please Create a New Account Now! Spaces and punctuation are not allowed. Password must have at least 7 character(s). Password must have at least special character(s). Password must have at least 5 character(s). We are THRILLED to launch Version 3.0 of the iHanuman yoga media platform. This upgrade is SO HUGE, it is hard to know where to begin letting you know about all of the cool new features. We've Expanded Our Community to include Yoga Students and Yoga Studios. Show Us Your ASANA! We are building the definitive Yogi-Sourced Asana Index. We continue to innovate and have more tools for Yoga Teachers to Distribute Classes and Teachings.